Now that Christmas is behind us, and the New Year is knocking on our door, we prepare for brand new adventures. 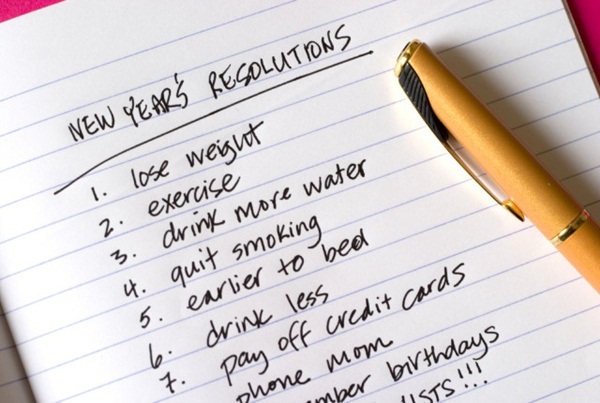 As we welcome 2014, we also make our New Year’s resolutions. Sadly, more than 50% of people do not stick to their resolutions, because, let’s face it, it’s easy to make resolutions, but keeping them is the hard part. According to John Norcross, psychology professor at the Scranton University: “Resolutions have been uncannily similar and stable over the year”. Every year, it’s the same old thing, we start off thinking that this time it’s going to be different, that this time we will finally stick to our objectives, but in the end we never do. This year is going to be different! We promise you. It’s not a sprint, it’s a marathon! This means that you have to take baby-steps, and do the best you can to keep them. The truth is that it is difficult to make a change, especially when results are not seen immediately, but considering that you have 365 days to succeed, there is plenty of time to make them happen. Just think how happy you will feel by 2015, when you finally achieved everything you’ve dreamed of. So let’s begin with the Financial Resolutions.